Soundstreams Beyond the Aria with Adrianne Pieczonka (soprano) and Kristina Szabó (mezzo-soprano), Tuesday, September 29, 2015 at Koerner Hall. 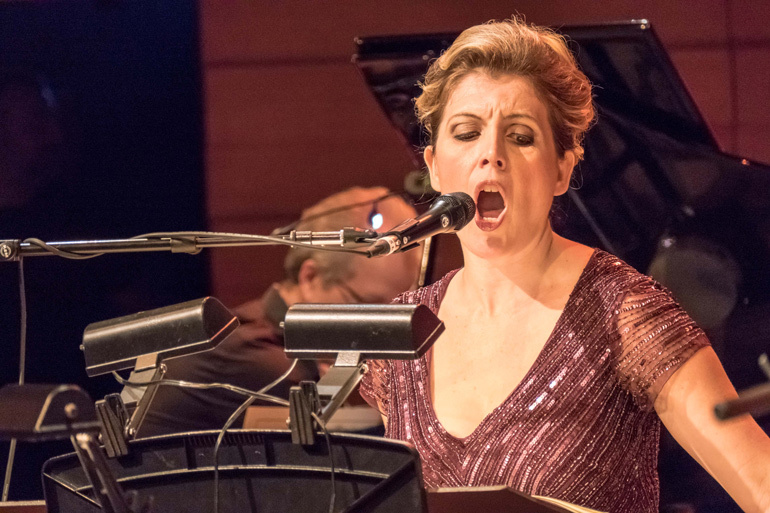 Soprano Adrianne Pieczonka turned sideways and leaned over the opened strings piano to sing a ghostly vocalise from George Crumb’s “Ancient Voices of Children,” at the end of Soundstream’s 2015/16 season opening concert. Her voice evoked a sound that twisted upwards filling Koerner Hall with an iridescent aura. The piece, composed in 1970, sets the piano like an abyss, whose black lacquered darkness looked directly back at Pieczonka. The repeal was the hopeful voice of an off-stage boy soprano Andrew Lowe, and an ensemble that undulated with an eerie pulse just as frightening as it was compelling. “Ancient Voices of Children” is a rare modernist masterpiece that demonstrates the dramatic use of extended techniques. Sadly, Crumb’s gem had to wait for a few missteps on the program. One was a selection from Luciano Berio’s classical music treatment of “Beatles Songs”, Yesterday, Michelle, and Ticket to Ride. 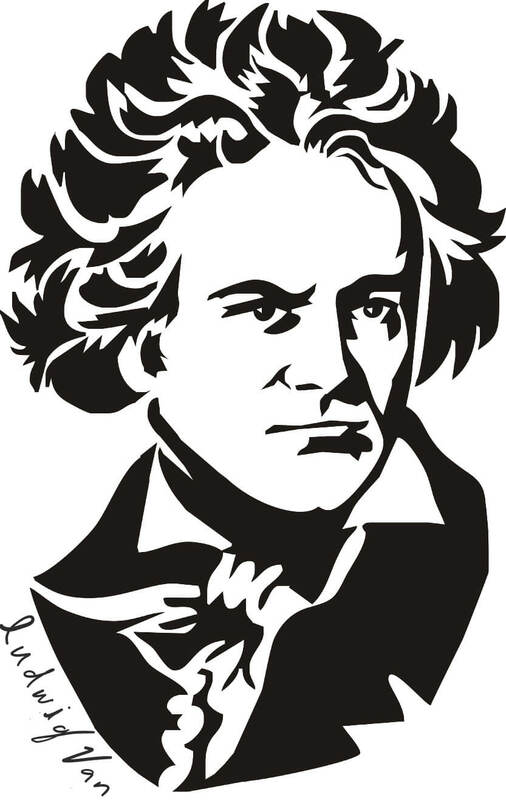 In 1960’s, Leonard Bernstein suggested that the Beatles were the Schubert’s of our age. 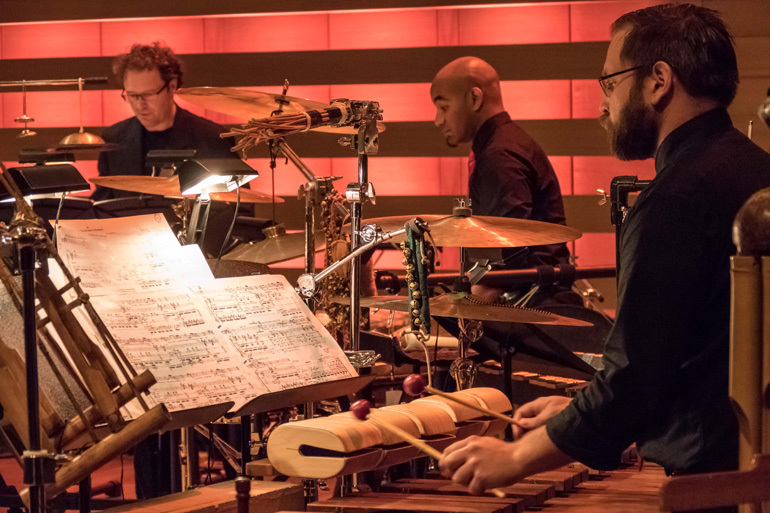 The statement sparked a throng of adaptations, with Berio’s being the most unlikely. Despite being sung with Pieczonka’s melting tone, the songs clashed with the powerful atmosphere of Crumb repertoire. While some well-up with warm fuzzies at the mention of the Beatles, programmatically it risks coming across as overly mannered nostalgia, as it did last night. 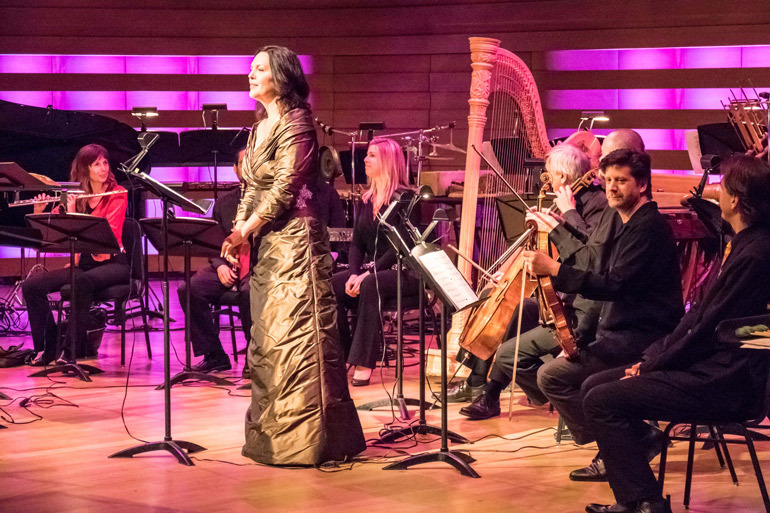 Another musical erratum was the premiere of Montreal-based composer Analia Llugdar’s “Romance de la luna, luna”, featuring Frederico Garcia Lorca’s poem of the same title. This piece represented a far too literal response to Crumb’s “Ancient Voices of Children” by Llugdar. Sung by Kristina Szabó, the orchestration was stark and full of modernist cliches such as barking, humming, hollering, yelling, and yipping. Szabó’s performance was technically impressive, however, and showed her serious commitment to the work (a rare quality, and one that stands Szabó apart from today’s rising opera voices). A special mention goes out to harpist Erica Goodman, who evoked an amazing true-fire tremolo that could have rivaled any. The evening opened with a performance of excerpts from Crumb’s “American Songbook”, which paired an amplified Kristina Szabó and Adrianne Pieczonka in a wistfully gothic manner. Like the unfolding of a Carson McCullers novella, Crumb highlights Americana like a grainy old film in a farm town cinema. Unfortunately, much of the vocal interplay between Szabó and Pieczonka was obscured behind the muscular percussion and prepared piano. 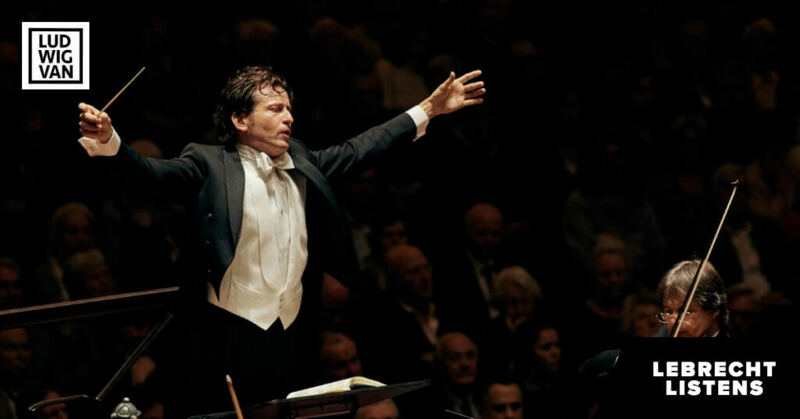 The use of amplification is always a tricky issue, but one wonders why Soundstreams resorted to amplification of the voices when opera singers are more than capable of reaching to the back of the room. A simpler solution would have been lowering the dynamic of the ensemble by a point or two. I’ll make a quick mention of the members-only section set up in the Koerner Hall lobby last night: Having a restricted member’s area is nothing new, but arts presenters should know better than to place them behind a velvet rope just feet away from where the more casual concert goers reside. There is no better way to alienate audiences than by separating them by the length of their purse strings. Want more updates on Toronto-centric classical music news and review before anyone else finds out? Get our exclusive newsletter here and follow us on Facebook or Twitter for all the latest. Gustavo Gimeno raises a keeps a tight grip on this Luxembourg performance with the local orchestra, the Vienna Singakademie and three Italians out of four soloists. 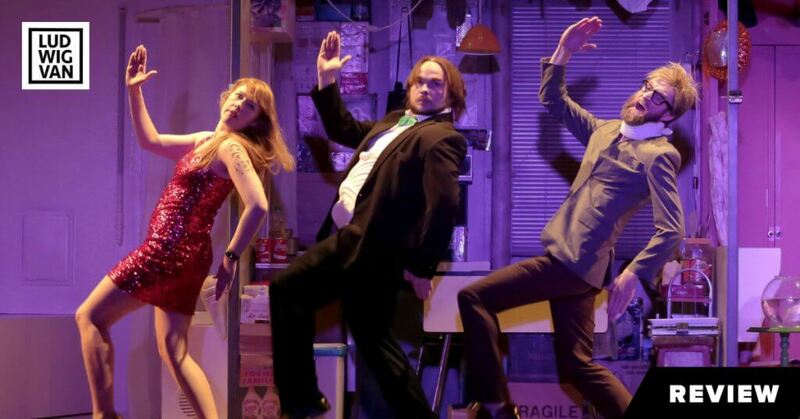 Sight gags, pratfalls, gimmicks, sound effects, not to mention hovering helicopters, leaking roofs, and fires — all the tools of physical farce drive Bigre at Canadian Stage. 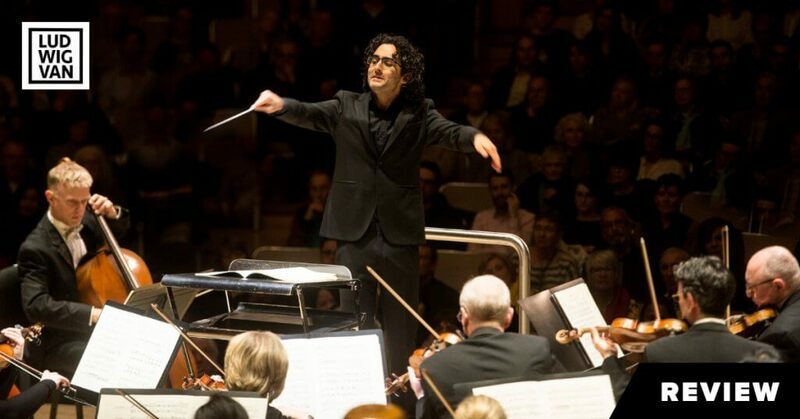 UK conductor Kerem Hasan makes his short notice Canadian debut at the TSO with Beethoven's epic pathbreaking Symphony No. 3 “Eroica”.